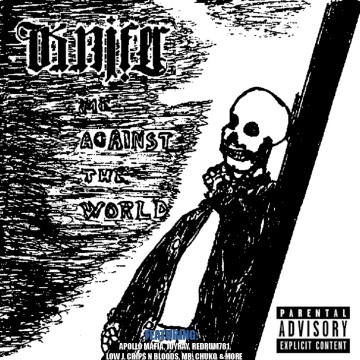 Knifer's first studio album with Universal Music International "Me Against The World" finds an intriguing balance between edgy Gangsta rap and funky Latino hip-hop. Although the Knife's lyrics are occasionally perfunctory, the music is vital and energetic, making such weaknesses a little easier to overlook. Me Against The World remains an imperfect album, but it is much more interesting than many of Knifer's contemporaries, and that alone is worth something. This CD ranges from seminal examples of Chicano rap to songs that are pure, unapologetic fun -- such as the mellow sounds of "Ready 4 War" featuring Eazy-E's associate Gangsta Dresta (aka Dresta Da Gangsta) and "Esperanza," an infectious ode to hope. Though not quite on a par with his recent mixtapes, this is an engaging and historically important CD that's well worth acquiring.